O-M-G–has it really been since May since my last blog post? Well–I DO have a good excuse. We sold our house in 12 days and were in a rush to find another–quickly. And that was much more of a challenge than we had anticipated. Our “life” consisted of lots of sleepless night and anxiously waiting by the computer for proposals and counter proposals. We packed. We waited. We worried. We..ok I…drank lots of red wine. Two months later we a finally somewhat settled in our new home. And we are still living with boxes but at least we’re making peace with them. During the process I learned a lot about patience, about stress, about the benefits of long walks with my ipod and the virtue or not (or trying) to yell at the kids. Ahem…well somethings I was better at than others. No doubt. The display showcases some of my recent (and favorite) work. I chose these pieces to hang up not only for their appeal but also because I so enjoyed working with the people in the images. Together, these images and the experience associated with capturing them, caused me to smile each time I look at them. I am a photographer who loves the process–the journey if you will–of capturing the real side of my subjects. I am obsessed with the raw moments in life–unscripted, unplanned and mighty. I strive to really get to know the person (s) in front of my camera and giving them images that capture the honest moments in life. And i think one of my gifts is making people feel at ease enough to expose the real face we all have that often hides when a camera is pointed at us during our sessions together. 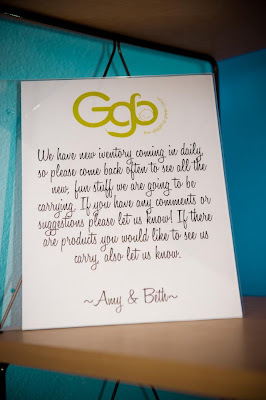 The owners, Amy and Beth are sweet, creative and fun gals. GGB is an eco-friendly baby store specializing in cloth diapers in Denver, CO. 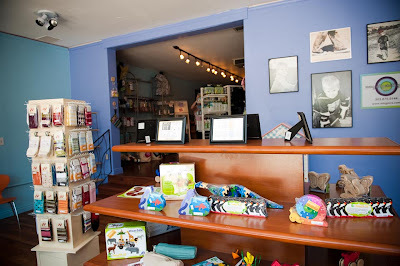 They also carry natural toys, baby slings, lotions, local and organic baby clothes, diaper bags, baby shoes, nursing wraps and much more. 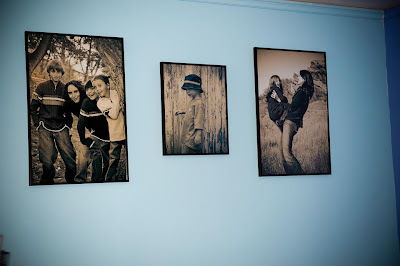 They are a locally mom-owned business and support colorado artists like myself. Thanks guys! beautiful pictures! I'll have to go in and check it out myself! I'm so glad you got hooked up with them – they're so terrific, and it's a great store! I am eager to get over there and see more of your work. It's always fascinating to see through your eyes, your very talented eyes. I am not a fan of that photo of me MB. But looking forward to scheduling our "real" photo shoot of me and my family. Your photos look great up here and many people compliment them. I love your pictures! Thanks so much for giving us such great work to put on our walls:)!